Toggle valve - Kp-Lok Houston Inc.
Toggle valves are designed for fast-acting and positive off/on control of media in moderate temperature and force applications. Toggle valve is quick acting and positive off/on control of media applications which are specially designed to manage media application in moderate temperature as well as top force. 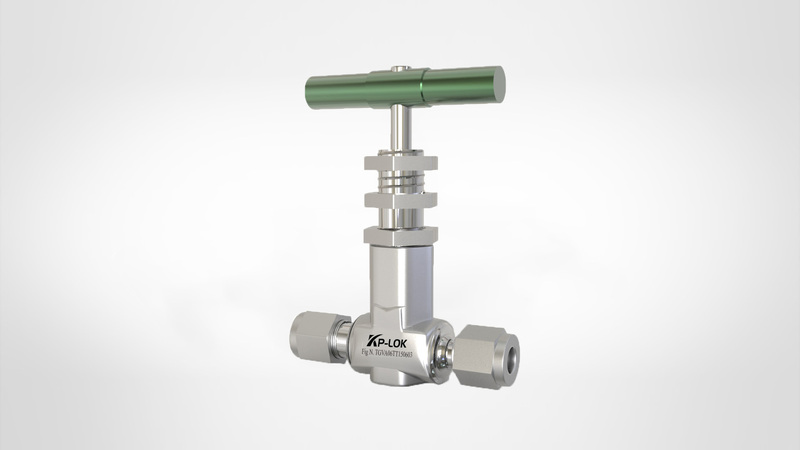 It comes in 2 models, one is manual and other is pneumatically actuated models which have the exclusive spec of closing and opening plus having models in stainless steel and brass with a big range of configurations and connections. When comes to force handling it is the valve you need as it can manage up to 300 psi and temperature up to 200 F.
Orifice range – from 0.080 to 0.250 in. Every toggle valves is checked with nitrogen at 1.1 times the running force to highest rate of 0.1 SCCM. It is very reliable in performance when it comes to challenging pneumatic applications. Its body is produced of aluminum bodies which are black anodized finish and is designed for wear resistance plus stainless steel security. This is a 3-way toggle valve with 2 positioning toggle valve control valve. It is perfect to use simple to handle and maintain. It is designed to control little cylinders or for spring return pneumatic actuators. It is very simple and flexible to use as when to put in single position than just simply force the toggle and when to switch it back just push it back so it will switch back. It is generally used in cab mounts in water trucks. Accessible in brass and stainless steel with a big range of configuration and connections.